There was a time when Apple and IBM were the most famous rivals in the entire technology universe. Jobs then proceeded to unveil one of the most famous advertisements in history — one in which IBM is depicted as Big Brother from Orwell’s novel 1984. It’s worth revisiting this moment because it gives tremendous historical perspective to the partnership between Apple and IBM announced in 2014. What once made Apple attack IBM now serves as the biggest motivator for a collaboration: a focus on the enterprise business market. It’s precisely this desire to ingratiate itself into the enterprise market that led Apple to partner with Cisco a year later. The same motivations will be at play when Tim Cook sits down with Box CEO Aaron Levie on September 28 at BoxWorks 2015 to discuss how iOS has impacted the enterprise and how mobility has fundamentally changed how work is accomplished. Cook’s presentation — or conversation, if you will — at BoxWorks is yet another indication that Apple is serious about becoming an enterprise mainstay. 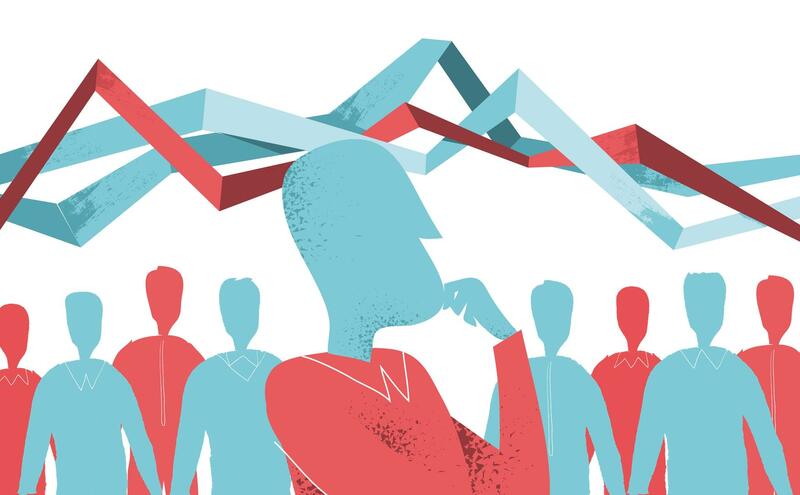 For an organization that’s fundamentally reshaped consumer expectations regarding personal computing and mobile devices, the shift is substantial, and the implications for the business world could be significant. A lot has changed since Jobs unleashed his famous barrage at IBM in 1983. Apple has surged to the top of the stock exchange, with a market capitalization exceeding $759 billion — a sum that nearly doubles that of second place Microsoft. Apple’s meteoric rise to world dominance has been fueled by an array of consumer products, most notably the iPhone and iPad. Apple’s success in consumer product design and user experience helped start the Bring Your Own Device (BYOD) trend that saw employees at enterprise organizations begin using their personal devices for work purposes. Consumers quickly became accustomed to the ease of use inherent in devices they used in their personal lives, and they began expecting the same experience in their professional lives — often simply using the same device for both scenarios. 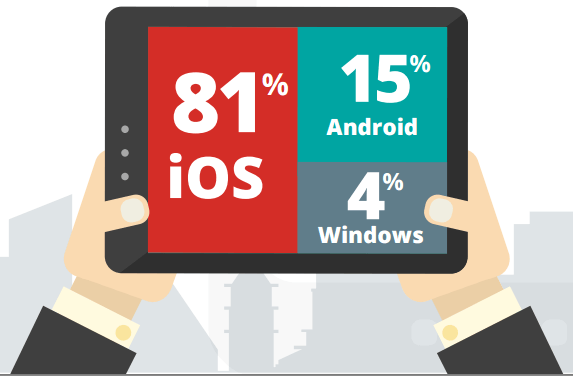 From a mobile perspective, the BYOD phenomenon has indeed made the iPhone an enterprise regular. 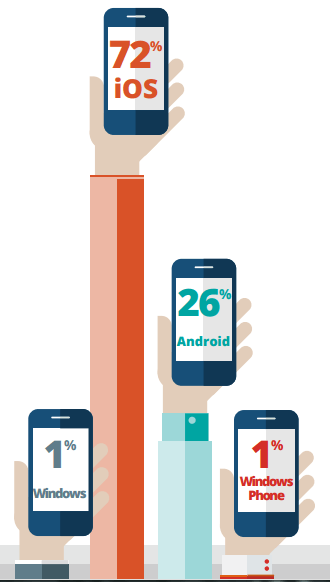 Good Technology’s Mobility Index Report for Q1 of 2015 found that iOS claimed 72 percent of new activations among Good’s clients that had at least five new activations over the quarter. Raking in 81 percent of new activations in Q1, the iPad enjoyed a similar dominance among tablets according to Good’s study. However, this number does represent a 4 percent drop since Q4 of last year, and a 11 percent decline from Q1 in 2014. Even in the face of flagging iPad activations, these numbers are impressive, and they’ve happened with Apple keeping most of its focus on the consumer market. Recent endeavors like the Apple Watch, Apple TV, Apple Music, and expansions into China all hone in on the personal lives of their customers, not their professional experiences. But that all looks set to change. Cook’s upcoming presentation at BoxWorks is so intriguing because it explicitly addresses Apple’s influence in the business world and culminates a series of moves the tech behemoth has made to better woo the enterprise market. As evidence, consider the partnership with Cisco. 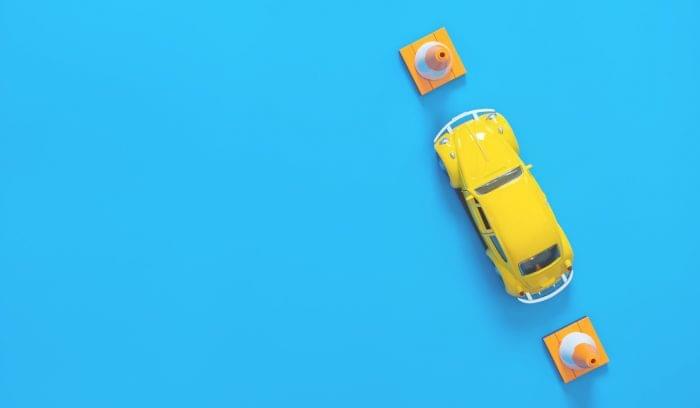 Experts consider the move an attempt to improve network optimization for iOS devices by optimizing wireless protocols and connection quality. The collaboration with IBM partners Big Blue’s enterprise back-end services with Apple’s hardware and promises over 100 industry-specific native iOS apps. Finally, the iPad Pro seems specifically designed to stem the tide of decreasing iPad numbers among businesses. If the detachable keyboard and stylus pen aren’t obvious indicators of enterprise intent, then showcasing Microsoft apps running in split screen on the device certainly is. Apple has been building its enterprise strategy for the past couple of years. Cook’s talk at BoxWorks could be the moment that crowns the entire initiative. Can the Simple Enterprise Be Built? 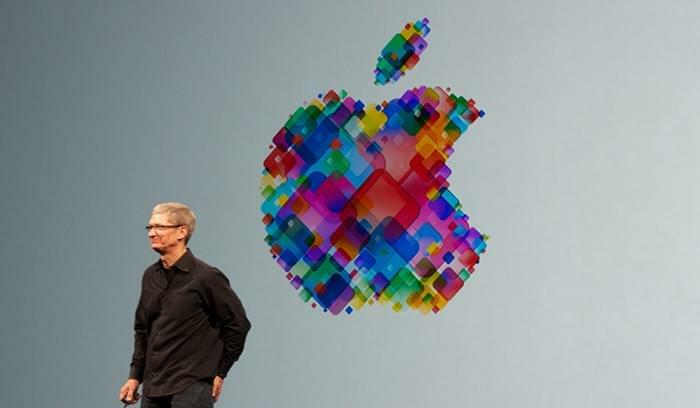 BoxWorks 2015 is the perfect stage for Cook to solidify Apple’s enterprise charge. Aaron Levie, with whom Cook will share the stage, has written for several years about his desire to simplify the often labyrinthine deployments of enterprise technology. These ideas perfectly align — and were heavily influenced — by Apple’s ethos in the consumer market. Opponents of the iPhone have attacked its “limited” functionality in comparison to devices like Android, but there’s no denying the simplicity and inherent usability of the device and its operating system. The same could be said of Box’s software. 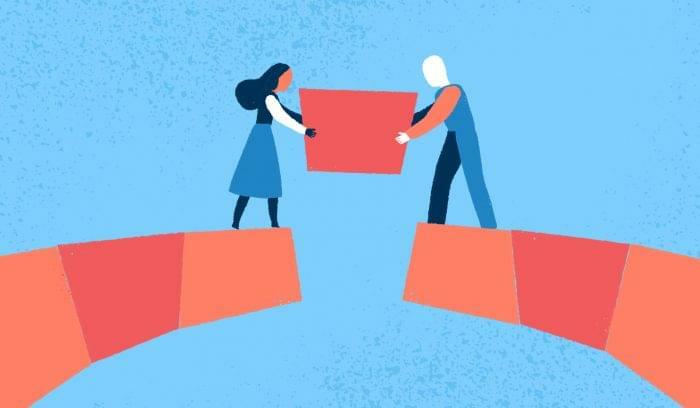 Designed to help enterprises engender collaboration more seamlessly, Box is a leader among a slew of new companies striving to solve different pieces of the puzzle that is enterprise complexity. As a conference, BoxWorks draws many of these ambitious organizations to one place, creating a ground zero of sorts for enterprise innovation. Over 5,000 people attended the conference’s opening keynote in 2014, and over the past couple of years, leaders in media have begun presenting with impressive regularity. It’s difficult to think of a better stage for Tim Cook and Apple to arrest the enterprise segment. A lot has changed from that historic night in 1983. Will we remember Cook’s presentation at BoxWorks 2015 in the same way? 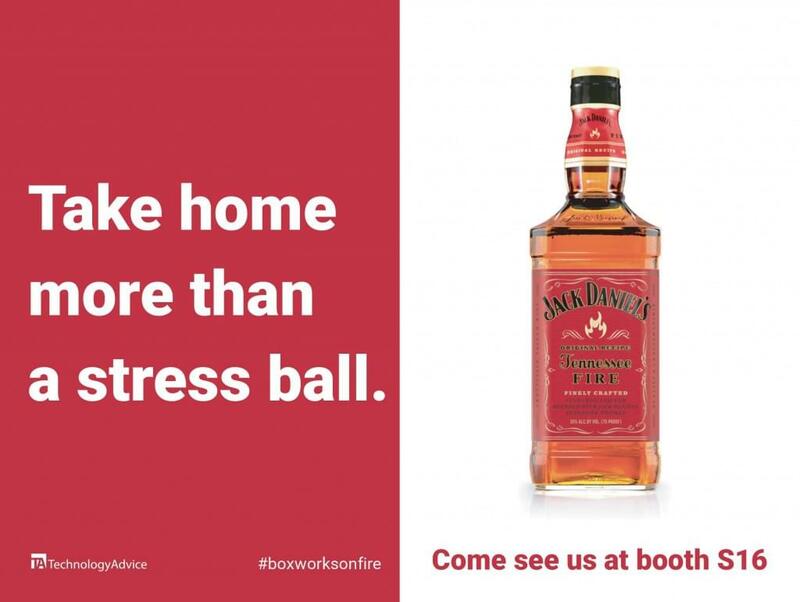 If you’re visiting booths and getting swag at BoxWorks 2015, take home more than a stress ball… Visit booth S16 for your chance to win a bottle of Jack Daniels Fire Whiskey.